Have I every told you how much we enjoy each and every comment we get on our blog and social media channels? We love getting to share our adventures with you and when you communicate with us, real friendships can occur and that is really pretty amazing to us! I want to tell you a little story of what happened when we got to Wisconsin. We were in need of some groceries so I went to pick up a few essentials. But there it was...beckoning me with it's enticing curves...piles of cheese curds! I was so freaking excited that when I got home I couldn't wait to tell everyone I found cheese curds! Only, in all my excitement, they thought I said cheese turds! 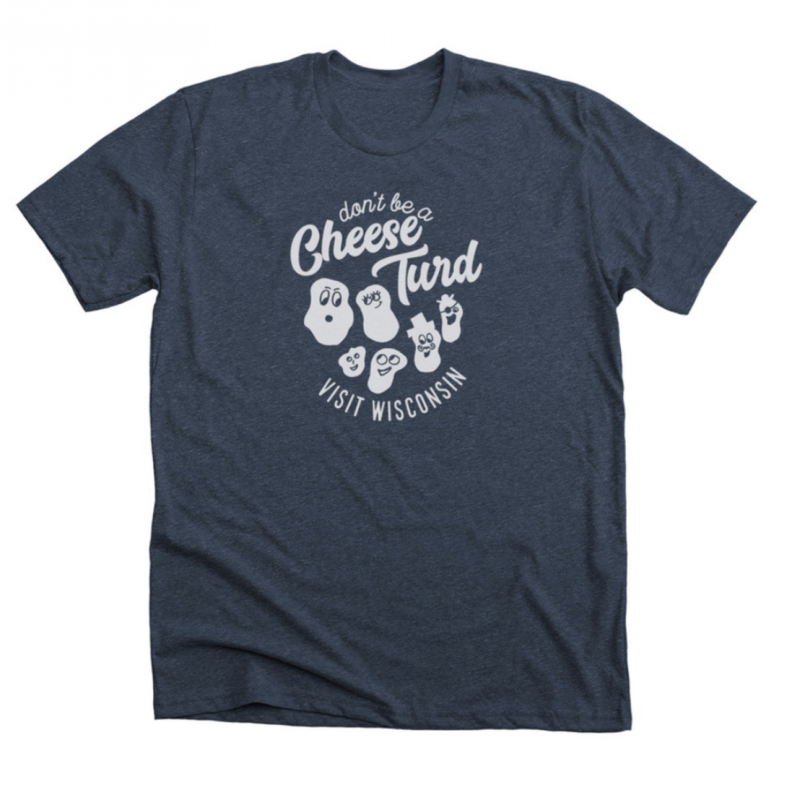 We couldn't stop laughing and I said, we have to make a shirt about cheese turds! We each got to drawing and came up with this design. Each of us drew our very own cheese curd and Jonathan was able to turn it into the magic before your eyes! How great is it to create something with your kids? I love that each of their curds have a little bit of their personality to them. Can you guess who's curd is who's? We want to see you out exploring so if you buy one of our cheese curd shirts, be sure to visit Wisconsin and snap a photo in the shirt! Use the hashtag #tinyshinystateshirt and we'll feature you on our Instagram Stories! These shirts are only available for a limited time and will be no longer be available after August 10th. Order yours now by clicking here.